Dr. Jack Trigg, Jr. has been recognized in books published by two-time National Magazine Award winner, John Pekkanen, as one of the best doctors in the southeastern United States. MOUNTAIN BROOK, AL, August 28, 2018 — Marquis Who's Who, the world's premier publisher of biographical profiles, is proud to present Dr. Jack Trigg, Jr. with the Albert Nelson Marquis Lifetime Achievement Award. An accomplished listee, Dr. Trigg celebrates many years' experience in his professional network, and has been noted for achievements, leadership qualities, and the credentials and successes he has accrued in his field. As in all Marquis Who's Who biographical volumes, individuals profiled are selected on the basis of current reference value. Factors such as position, noteworthy accomplishments, visibility, and prominence in a field are all taken into account during the selection process. 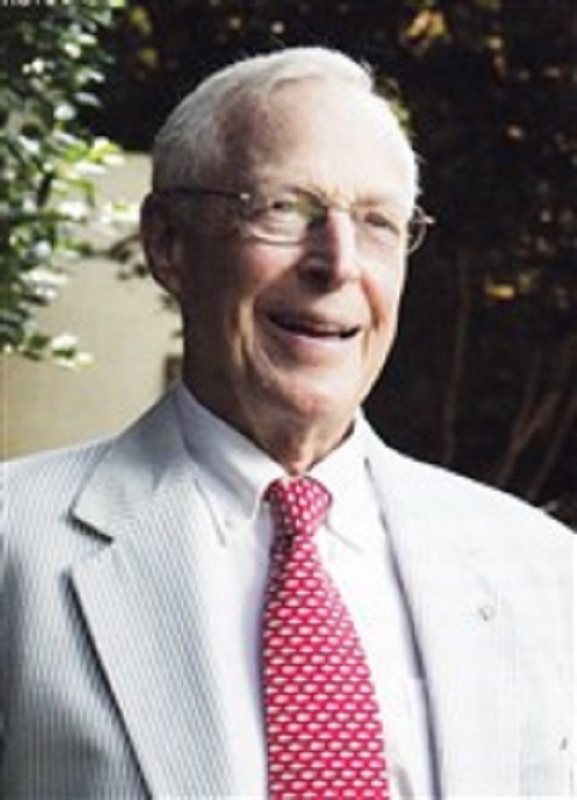 Dr. Trigg graduated from Virginia Military Institute in 1953 with a BS degree in Chemistry and a 2nd Lt. Commission in the U.S. Air Force Reserve (R.O.T.C.). His two-year active duty requirement was deferred until he completed his medical training (9 years). In September of 1953 Trigg entered medical school at the Medical College of Alabama. He did a one-year Fellowship under Dr. Tinsley Harrison from 1956-1957. Trigg recalls asking Dr. Harrison one day how he made important decisions regarding patients and Dr. Harrison answered simply that he always applied the “Golden Rule” – treat others as he would want himself or a member of the family to be treated. This principle served Trigg well. He graduated in 1958 having earned his Doctor of Medicine Degree. Three days after graduated he married Dorothy (Peachy) Wynne and proceeded to Duke University Hospital, Durham, NC for his Internal Medicine Internship. He returned to the University of Alabama at Birmingham (“UAB”) for his Internal Medicine Residency (3 years) and after completion thereof entered the U.S.A.F. as a Captain in the Medical Corp being stationed at Eglin AFB, Florida where he practiced internal medicine. After fulfilling his military obligations, Trigg returned to Birmingham to the private practice of internal medicine with Southside Internist Group (1964). He was accepted on the active staff of St. Vincent's Hospital where he remained until his retirement in 1998. Trigg was President of the St. Vincent's medical staff in 1986. He was also on the courtesy staff of several other Birmingham hospitals including The University Hospital at UAB. He was President of his medical group from 1987 to 1996. In 1965, Trigg became a Diplomat of the American Board of Internal Medicine and in 1975, he was elected Fellow in the American College of Physicians. He is a member of several local organizations including The Jefferson County Medical Society, the Birmingham Rotary Club (Paul Harris Fellow), Southeastern Clinical Club and the Country Club of Birmingham, and has served on the Board of Visitors of the UAB School of Nursing. Trigg attends St. Luke's Episcopal Church where he serves as a Lector and is a former Stephen Minister. His hobbies include golf, bridge, and fishing. Dorothy and Jack had two boys, John and James. John drowned in a tragic swimming accident at age 13, and James is presently in the practice of law in Atlanta, GA.
Trigg has been recognized in books published by two-time National Magazine Award winner, John Pekkanen, as one of the best doctors in the southeastern United States, as well as by Steven Naifeh and Gregory White Smith, who are both known as biographers of historical icons such as Jackson Pollack and Vincent Van Gogh. Trigg was awarded the Alfred Habeb Doctor of the Year Award by St. Vincent's Hospital (2003), and appeared in an article titled “His Investment in Caring Nurses” written by Anita Smith for the School of Nursing at UAB in 2014. He is listed in several editions of Who's Who in America, Who's Who in Medicine and Healthcare, Who's Who in Science and Engineering, Who's Who in the South and Southwest, and Who's Who in the World. In recognition of outstanding contributions to his profession and the Marquis Who's Who community, Dr. Jack Trigg, Jr. has been featured on the Albert Nelson Marquis Lifetime Achievement website. Please visit www.ltachievers.com for more information about this honor.